The two-year-and eight-month old Selma Ndinomwene Tuhafeni burned beyond recognition during a shack fire in the Okakwa Location of Outapi. According to the daily crime bulletin of the Namibian Police’s Public Relations Division the little baby girl was left alone in the shack by her father who allegedly went to another house nearby. At about 21:00 the screams if the little baby girl alerted neighbours to the fire raging in the shack. Some of the bystanders attempted a rescue but the heat of the flames prevented them from entering the blaze and saving the life of the little victim. 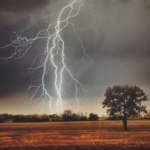 Earlier during the same day the 37-year-old Lahia Megameno Efraim died instantly after she was struck by lightning near the Okafitu kaNangombe village in the Ogongo Constituency near Outapi. 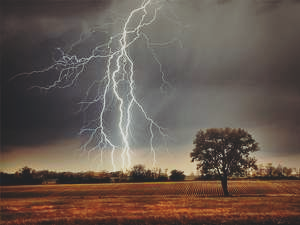 According to the daily crime bulletin the woman was struck by lightning while she was walking to the Otjeke location near the village on Wednesday at around 16:30. Meanwhile the Namibian Police at Katima Mulilo are looking for the person who murdered the 64-year-old Theresia Bwanjili at the Machita Village on New Year’s Day. The lifeless body of the old woman was found in a pool of her own blood by people walking past.